High performance and utterly thrilling to drive, the muscle car changed the way we view automobiles. Through marketing wars and head to head horse power battles, a carefully curated ideology of what the muscle car should be able to do evolved. American family style two door sports coups with rear wheel drive are fitted with a large V8 engine to create this icon of muscle and speed. Distinct from the low, two seat, European sports cars, muscle cars are much more affordable. Muscle cars are a quintessentially North American phenomenon, owing their outrageous existence to a very simple formula. Take a mid-size American sedan (nothing too complicated, upmarket, or fancy) then add the biggest, raunchiest V8 that is possible to squeeze under the hood and behold: the magnificent muscle car. Pontiac was first, with the legendary GTO. Ford followed with the invention of a new class of car with the pony car, the Mustang. Every other American manufacturer joined in the act after that, all wanting a cut of the action. Muscle cars are loud and proud. Look further into this fascinating book to discover the intoxicating world of these wonderful machines. 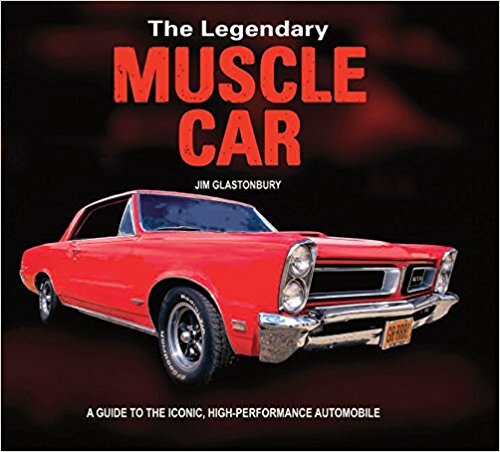 Includes information on models, facts, and other interesting information on America's pride and joy; the legendary muscle car.